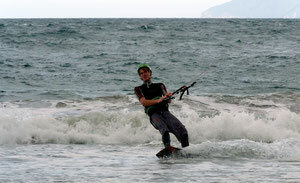 Kitesurfing for the first time in NZ.... perfect WIND, perfect SPOT, and perfect WAVES...!!! of course like your website however you need to check the spelling on quite a few of your posts. Many of them are rife with spelling issues and I in finding it very bothersome to inform the truth then again I will certainly come again again. I'm curious to find out what blog platform you happen to be using? I'm having some small security issues with my latest site and I would like to find something more safeguarded. Do you have any suggestions?